Dung is a super powered freak in metal armor. His arms are exchanged with cannon arms that spew blasts of variable pressure of seemingly limitless amounts of steaming hot feces against his opponents. The source of his powers is not known. Being encased in armor makes him rather resistant to most types of physical attacks, even if his head is left uncovered. Dung is an excellent team player. The early history and origin of Dung are unrevealed, although he is from Detroit. He was one of numerous super freaks gathered by CyberFace in order to depose the leader of the Vicious Circle, OverLord. The Annihilators were foiled before they had a shot as they were lost in a teleportation effect, when Barbaric of the Chicago police department’s Freak Force team destroyed their device. After months lost in an interdimensional void, a group of Detroit scientists tested out their own matter transportation equipment, allowing the villains to get through to Earth. Maul of the WildCATS defeated the entire group on his own while the Deadly Duo watched on. Following the death of OverLord by the Dragon, numerous freak factions battled for control of the Vicious Circle, one of those groups were the Annihilators. Joining forces with other criminal superhumans like the Rumble Brothers, the freaks became loyal soldiers of CyberFace once again, accompanying him as he seized power. Dung remained in service with the Vicious Circle for months until he was defeated in battle with the Dragon shortly after Horde came to power. He was sent off to Stronghold Prison and remained there until shrunken members of the group broke him free. Dung became a normal human in the wake of the Nega-Bomb explosion caused by DarkLord and the Covenant of the Sword. Later, Universo visited the Earth and consumed it along with all it’s population, Dung included among the victims. However, on the alternate Savage World, history played out differently. CyberFace’s army of disgruntled Vicious Circle members known as the Annihilators enjoyed a great deal more success in the Savage World. 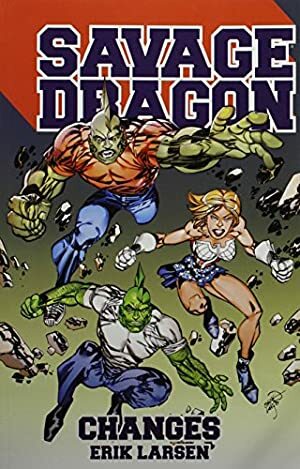 Due to the Chicago Police Department’s fledgling superhuman unit known as Freak Force only having two members at the time, the villains were able to brush passed both the Dragon and Horridus with no fatalities. The Annihilators then used their teleportation technology to gain access to the Vicious Circle’s primary stronghold at the time. CyberFace stepped forward to effortlessly murder OverLord in cold blood, allowing him to seize his leadership position. The presence of the Annihilators prevented any of the more loyal Vicious Circle members from attempting to avenge their founder’s death. With their position secured, the Annihilators enjoyed a role as part of CyberFace’s inner circle, providing him with not only protection but also getting entrusted to the most important matters. They were among the first to move into New York City when the massive city was claimed by CyberFace as their new headquarters when he slaughtered the Cosmic Cops and took their conquered land himself. Over the next few years, the former Annihilators remained part of the security force for their leader. 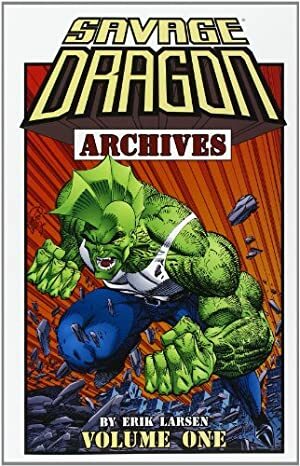 They were present at the White House when Dragon led a coalition of heroes and renegade Vicious Circle members on an assassination attempt. Dung was among those that ended up getting shrunken down by the newly-reformed Liberty League to prevent any further violence. He had remained in custody but may well have escaped during a recent breakout at Stronghold Penitentiary. Dung looks like a man encased in metallic armor. Everything, except his head, is covered by pipes, cylinders, pads and so on in silvery grey metal. His head looks cartoonish and pear-shaped, with sprouts of brown hair and a bizarre, grinning expression on his face. Both of his arms consist of seven malleable cylinders each through which he uses his powers. Soon after he has started using his powers, there will be flies and stench surrounding him. Dung talks like a real nutcase. His behavior is erratic and he enjoys spreading around chaos (and feces). He is a team player and enjoys working as part of a larger criminal network. He seems happy as long as he is allowed to do various anarchistic acts of impulsiveness and use his arm weapons. He tends to call people baby and uses odd interjections. Wherever Dung appears there will soon be a strong, debilitating stench. He enjoys humiliating opponents by drenching them in feces while shouting bizarre words of discouragement. He even makes shooting sounds while firing his arm cannons. Surely, there will be psychological consequences fighting Dung, and Dung pushes this fact to the maximum by never-ending torrents of feces against his foes. Even the most hardened of heroes have panicked when overcome by feces, and keeping your dignity intact will be next to impossible. He himself seems completely unaffected by the utterly disgusting effects of his weaponry; perhaps he really is a mutant and this is his natural state. Quite possibly he doesn’t even have a sense of smell. The fact that his arms are two cannons does not seem to bother him either. It is unknown how he manages daily routines without normal arm functions; perhaps the armor can be removed to help with this. Dung can seemingly produce an unlimited supply of feces from his arm-mounted cannons (Chemical Attack, Glue, Matter Manipulation, Projectile Weapons). The source of all this feces is not known, although there are a number of theories. 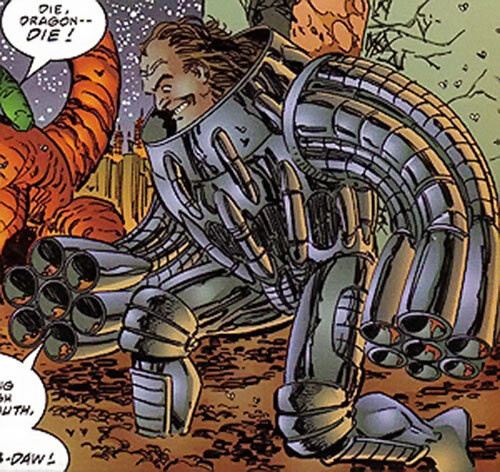 It is assumed that Dung can transport feces from all over the world into his high-pressured suit of armor that can be discharged as blasts at various power levels through some sort of teleportation technology. The source could also be extra-dimensional. Another theory is that the cannons are piped directly into his colon and that he has the mutant ability to produce mass quantities in microseconds. The function of the entire armor is not known, but, in addition to its blasting capabilities, it does offer some degree of physical protection (Skin Armor). In any case, Dung is a disgusting and humiliating foe to battle. It can, perhaps, be assumed that Dung himself has no sense of smell (a MPR) and, given that he has no useful arms, he might not need to eat or drink to survive (Life Support).